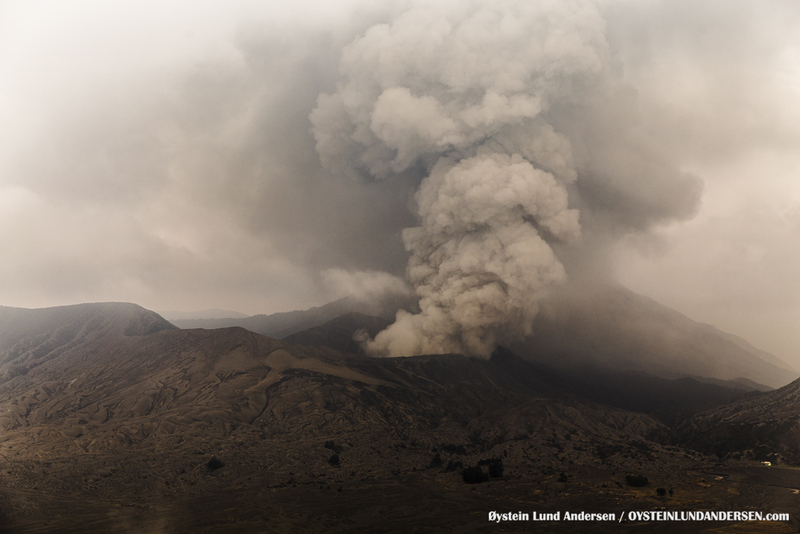 Updated: 17 December 16:50 local time. 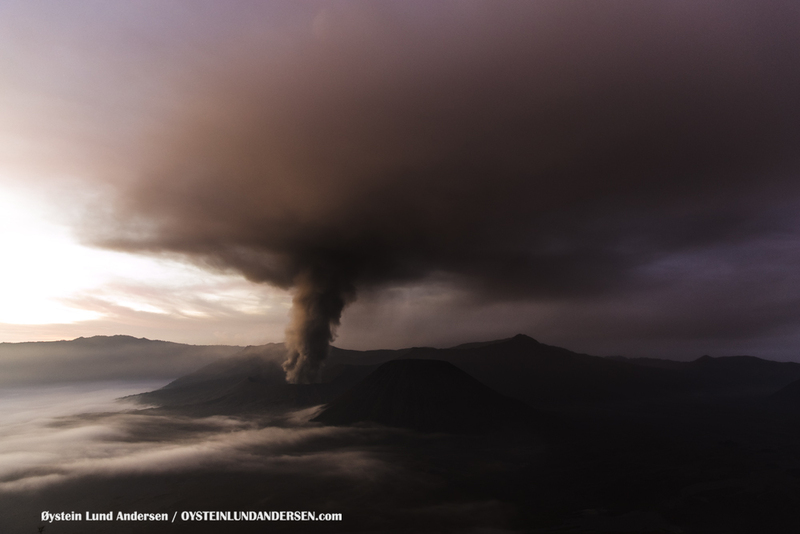 Arrived at the village of Cemara Lawang midday, which are located 2km from Bromo. 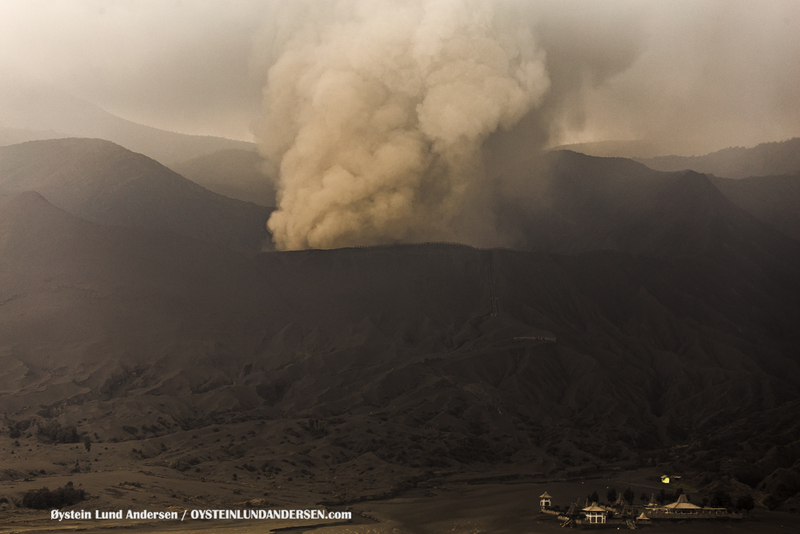 The weather was cloudy/foggy, and only allowed sporadic views of Bromo today. 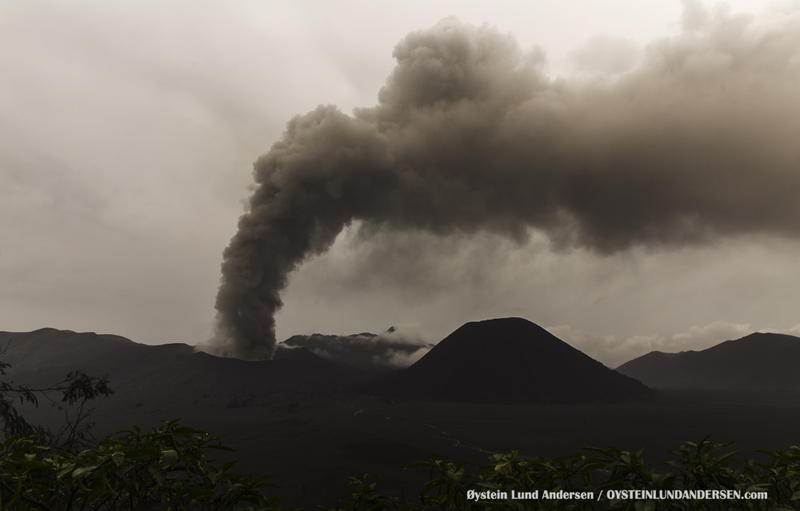 When observable, the volcano was seen emitting ash plumes, that reached heights of 200-400m. 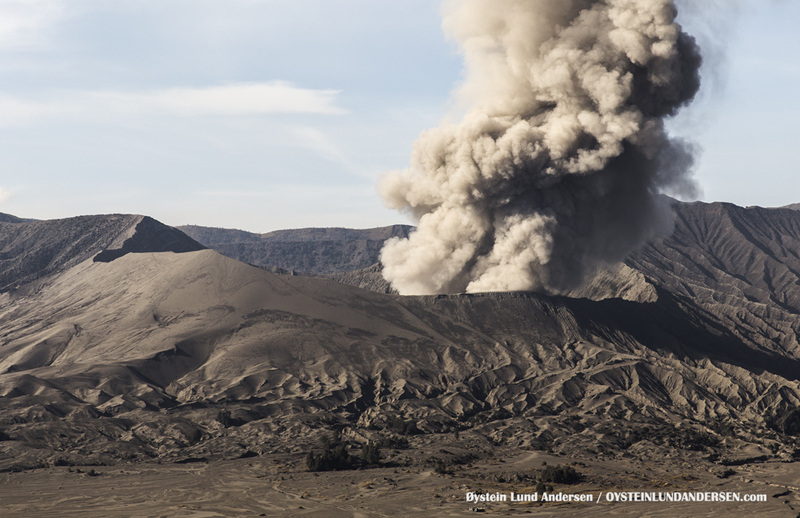 The ash-plumes seem to contain only small amounts of ash. 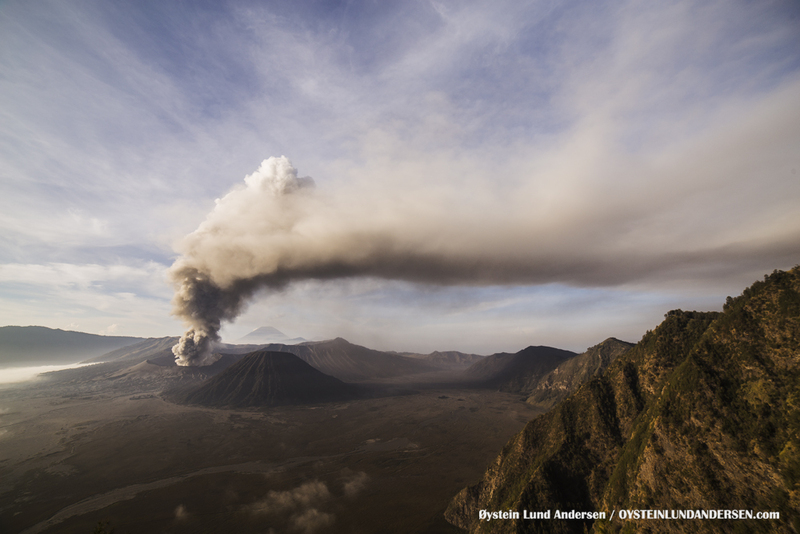 However some ash-fall was reported in Malang today, 50km SW of Bromo. 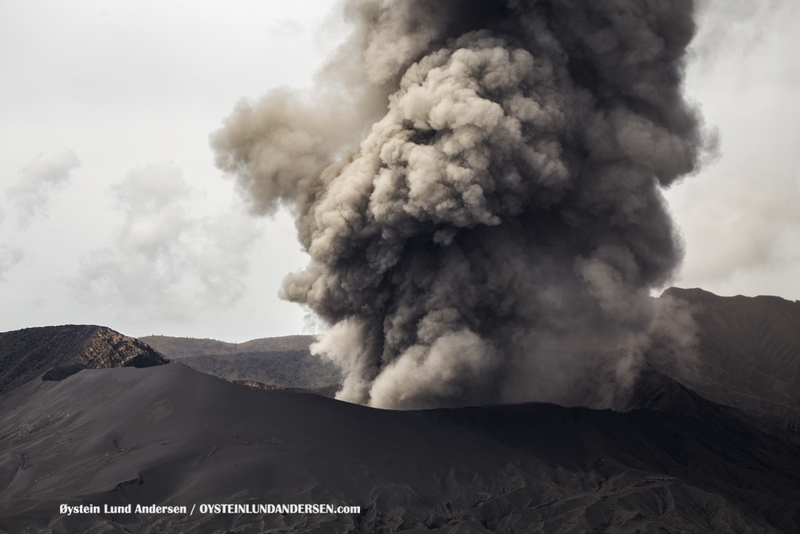 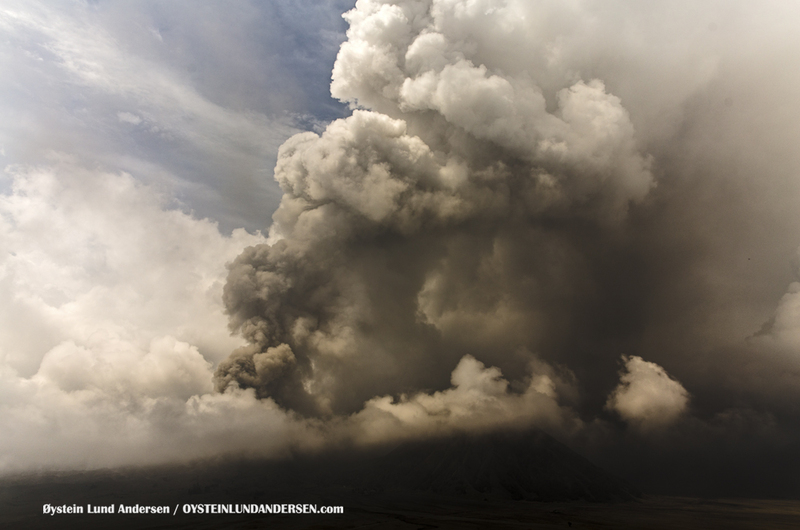 The intensity of the eruption seemed to be the same throughout the day. 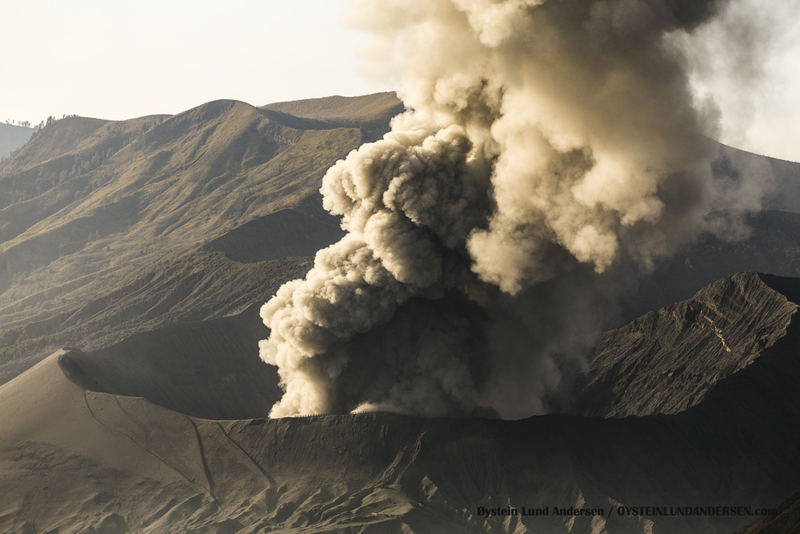 No crater glow was observed. 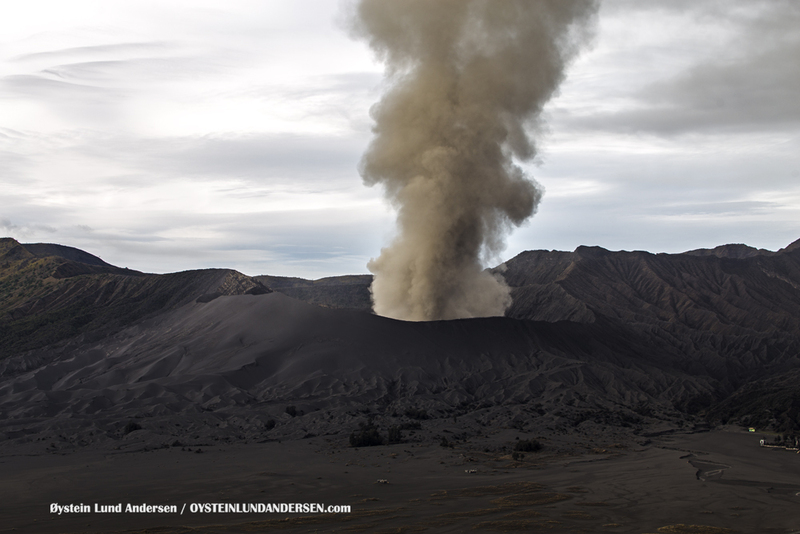 Weather was clear in the morning, and allowed for a few hours of unhindered observation. 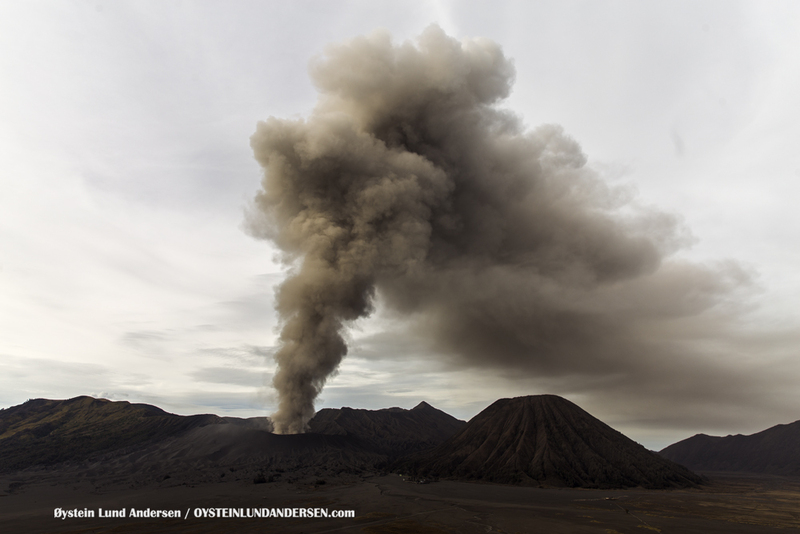 Throughout the day sporadic openings in the weather also allowed some views of Bromo. 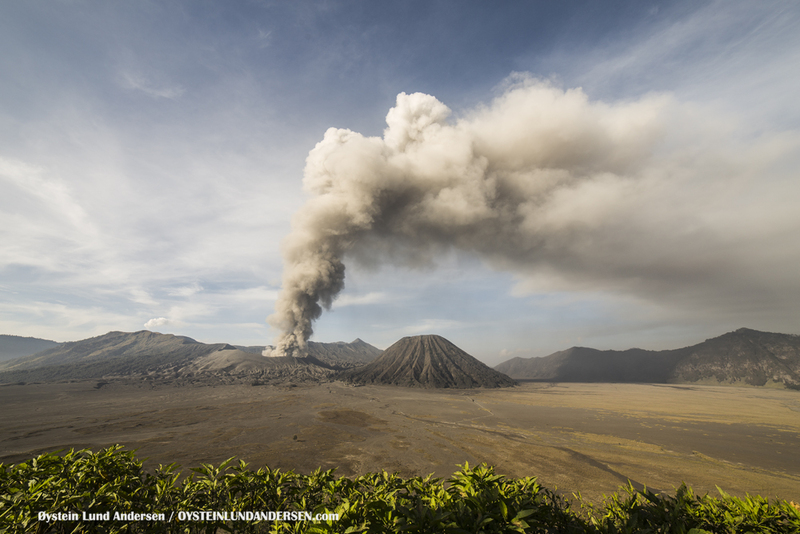 The Indonesian Volcanology Survey (PVMBG) reported a increase in tremor today. 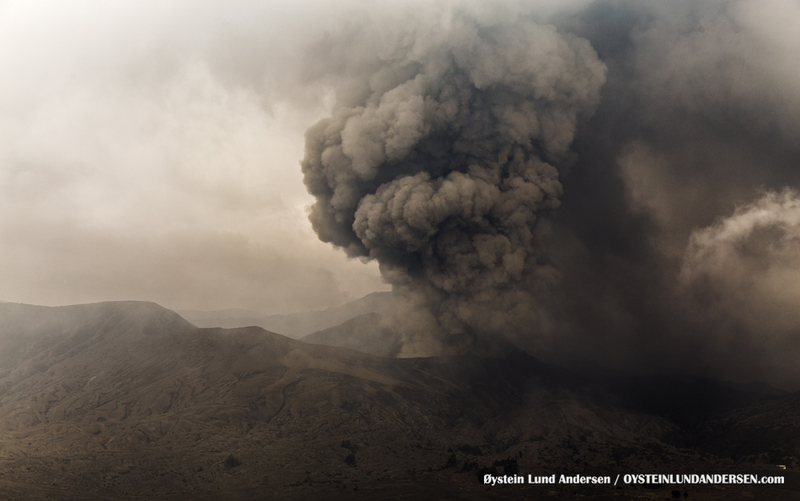 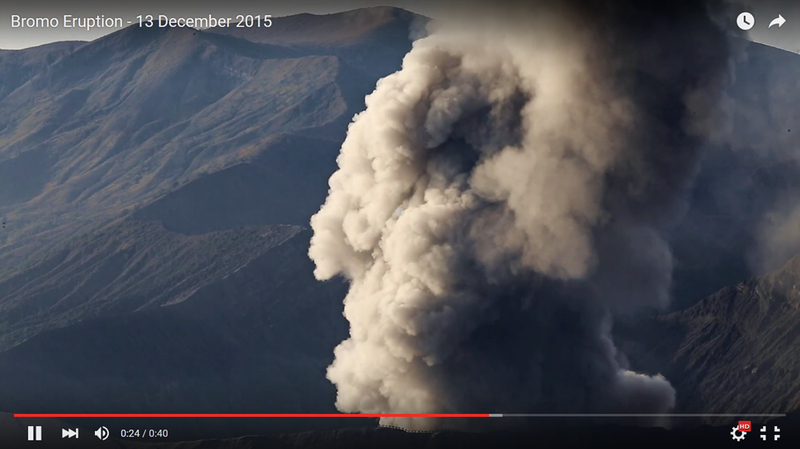 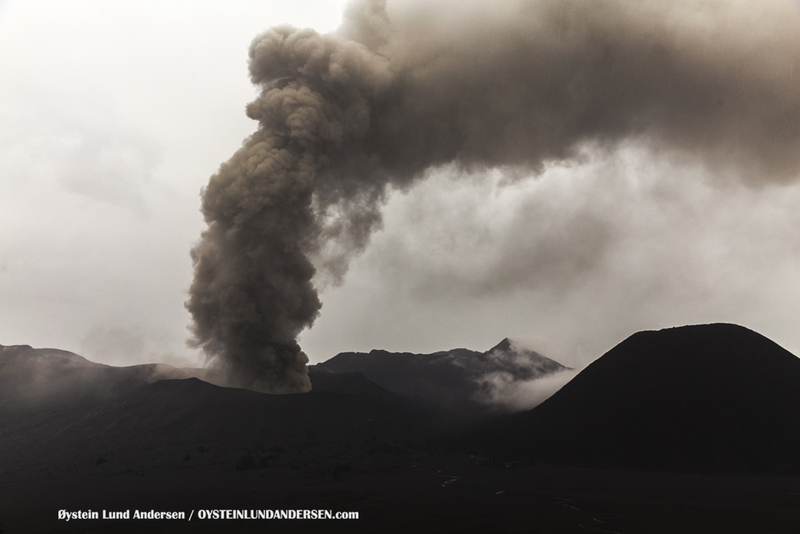 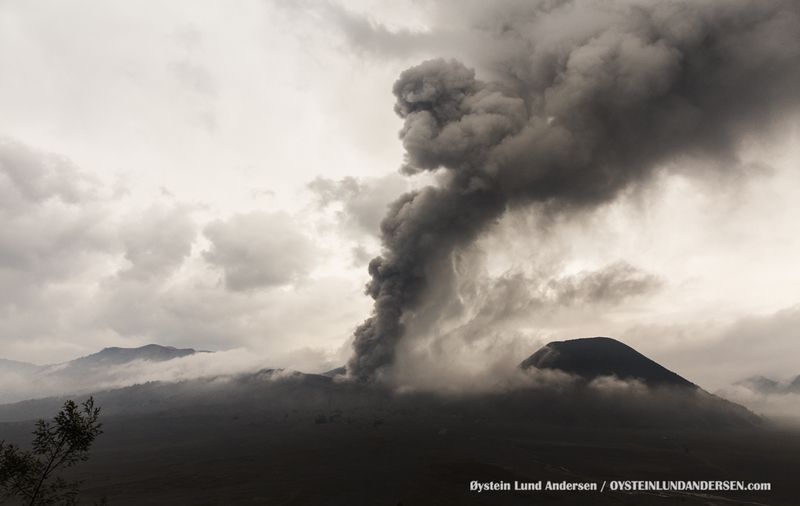 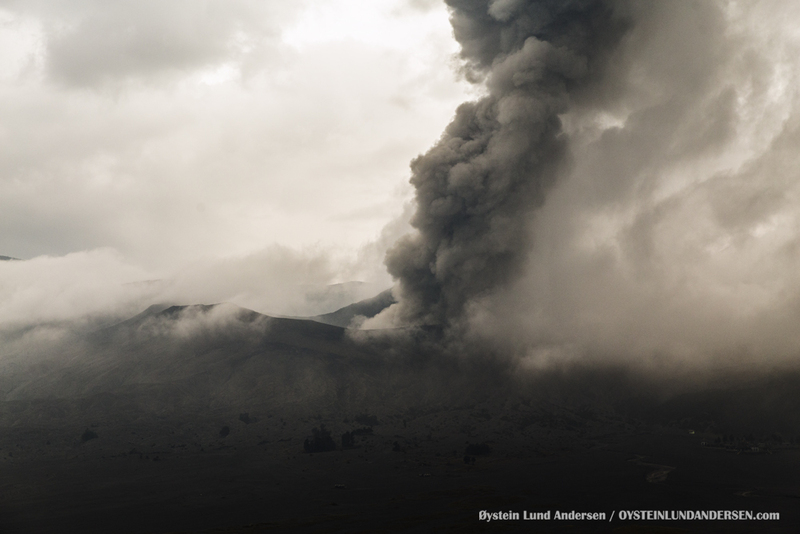 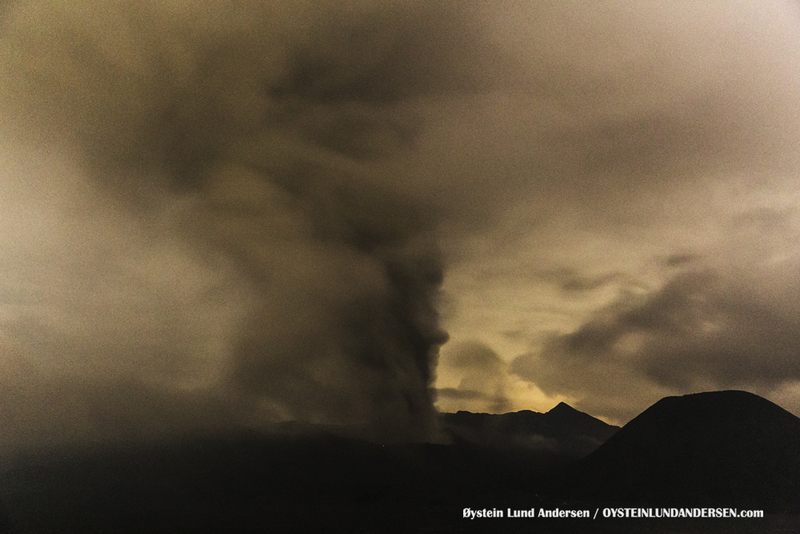 Eruption plume was reported to reach 1500m, up from around 400m on 12th December. 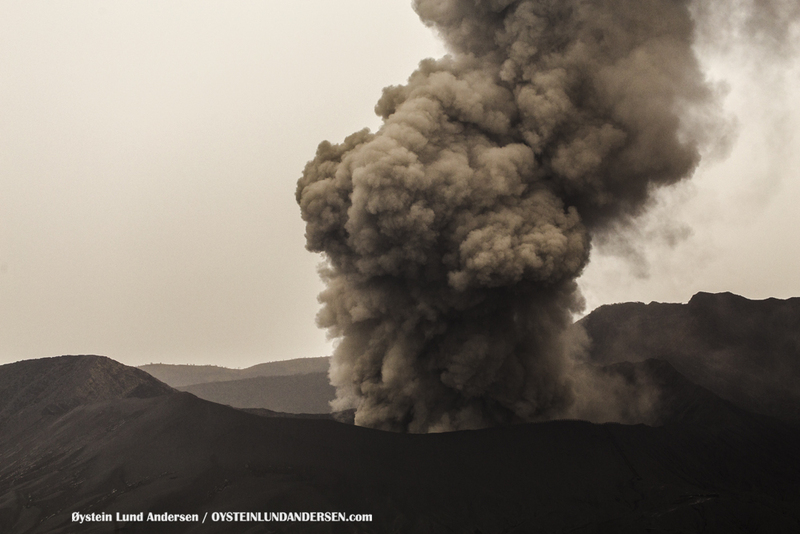 Rumbling sounds were heard in the morning and afternoon. 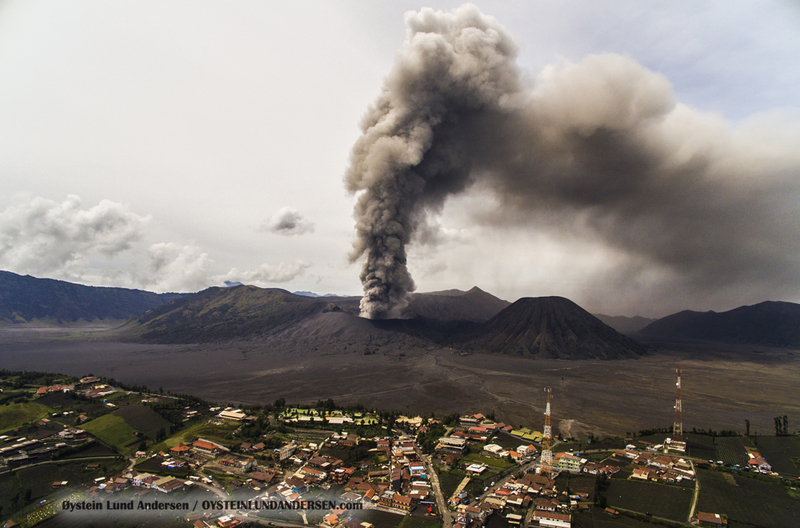 Ash fall reported in Malang, but also felt in the village of Cemara Indah, were Im currently staying. 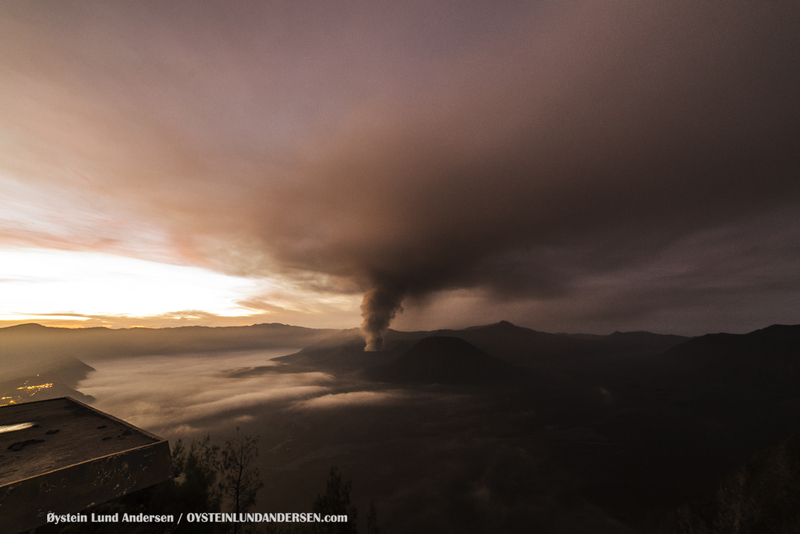 First photo of the day before sunrise. 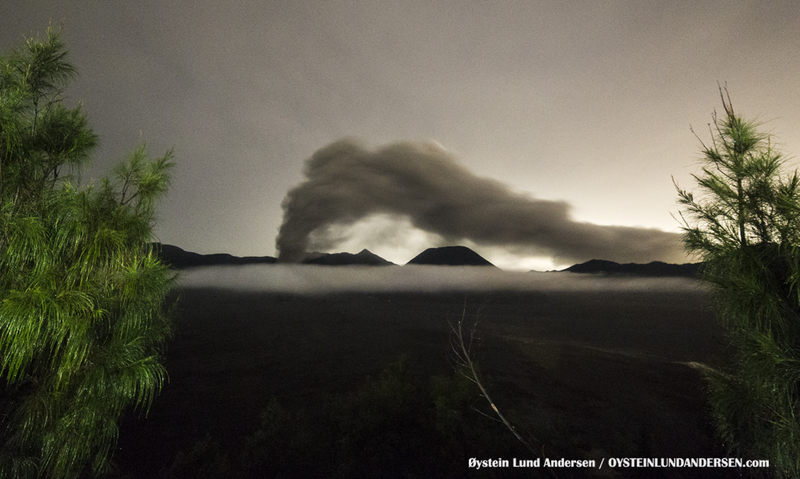 04:23 Local time. 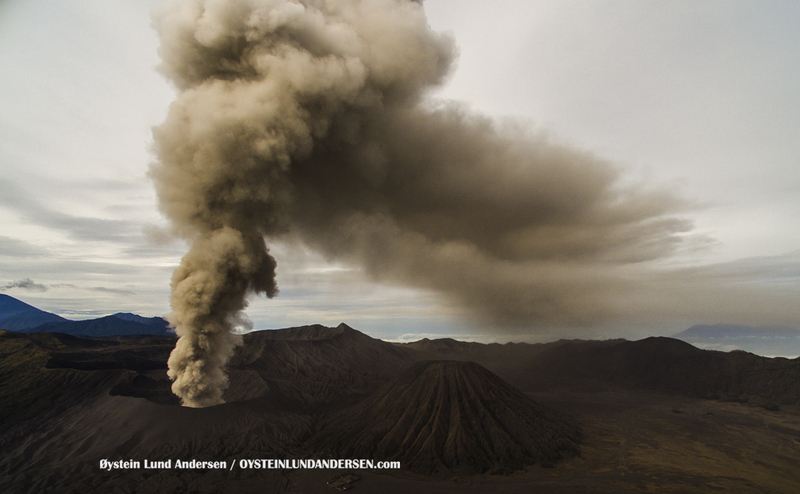 Activity is still high, but the activity seem the same as yesterday. 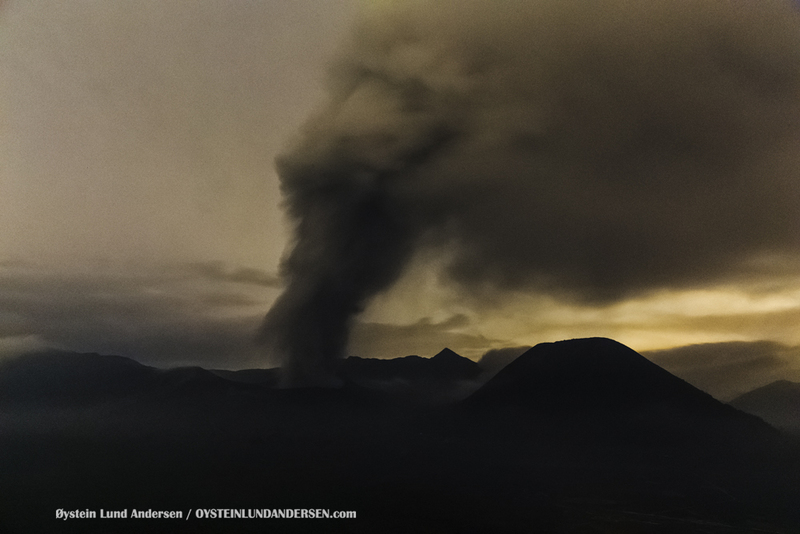 The eruption plume didn’t seem to reach the same heights as yesterday. 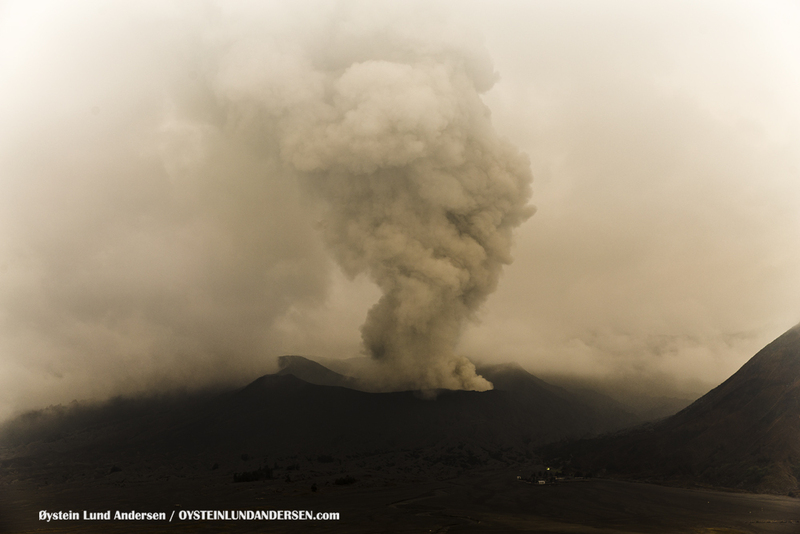 Today I believe it varied between 300-700m above the volcano. 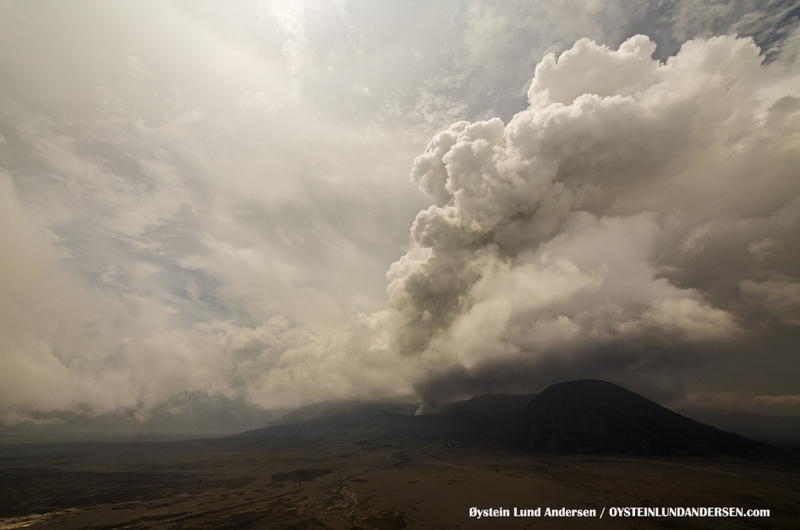 Wind levels was a bit stronger today, and this element might have contributed to the decreased height of the plumes. 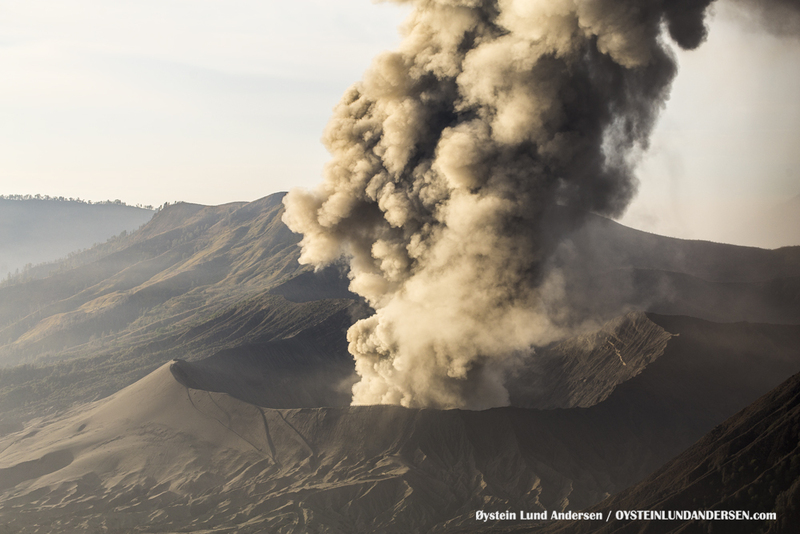 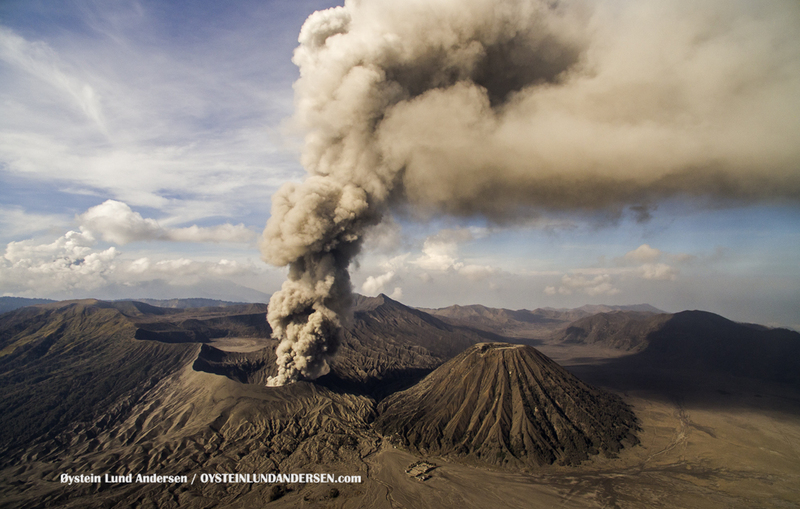 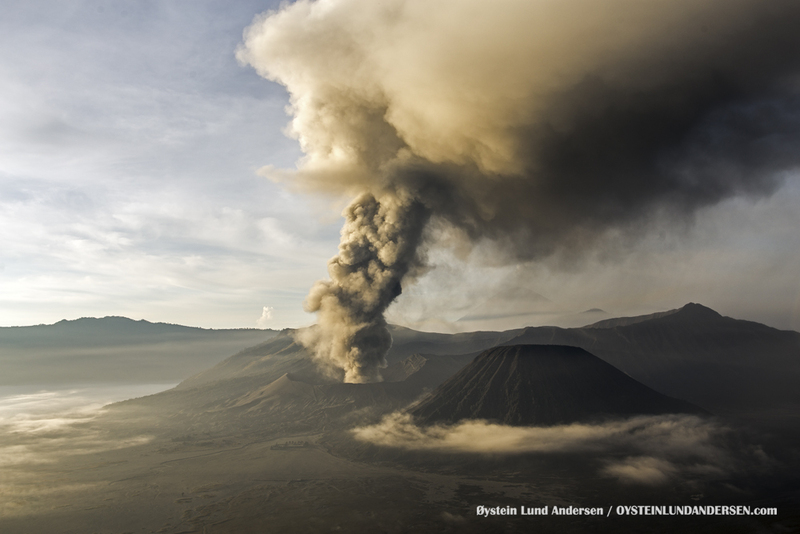 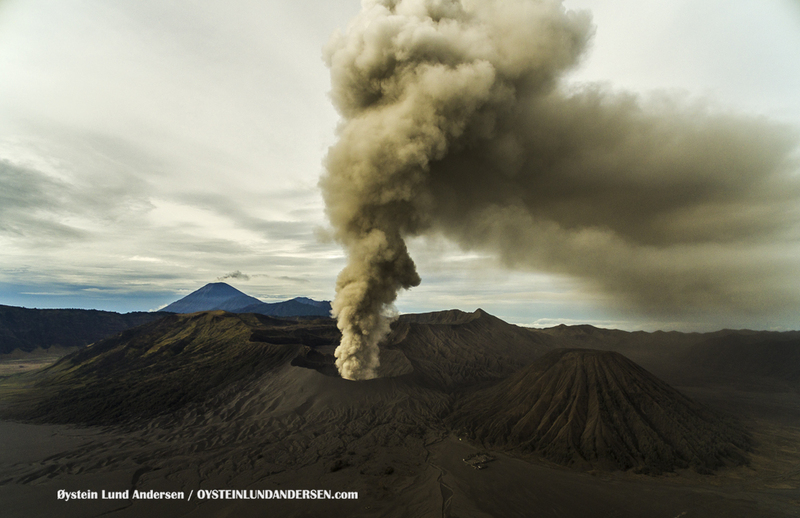 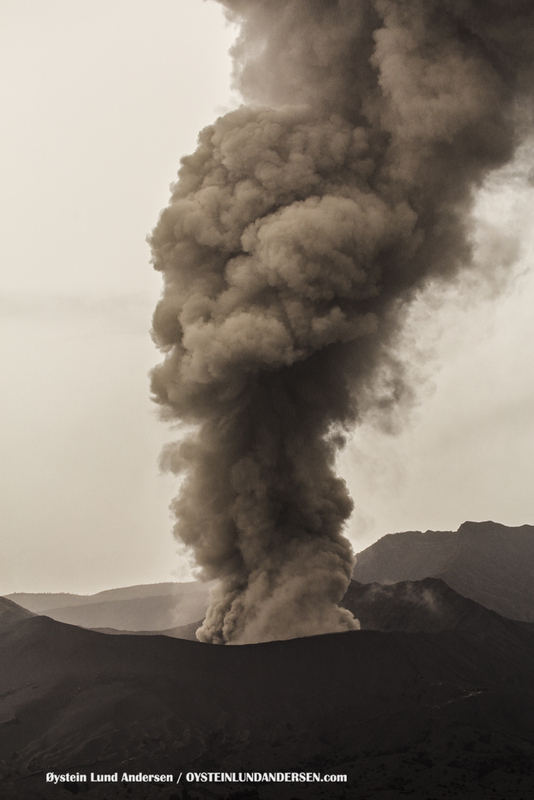 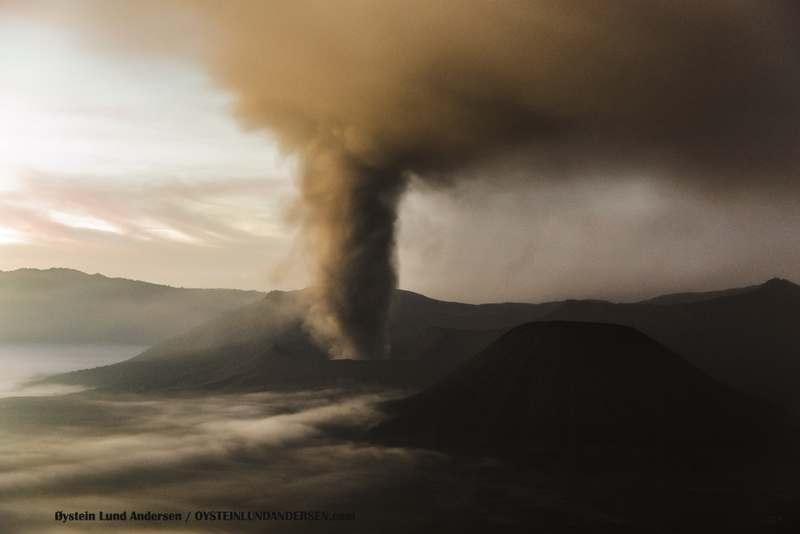 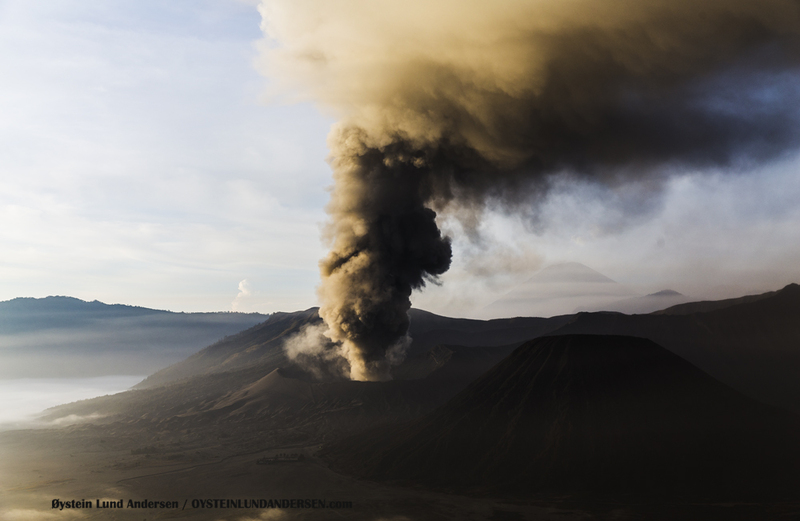 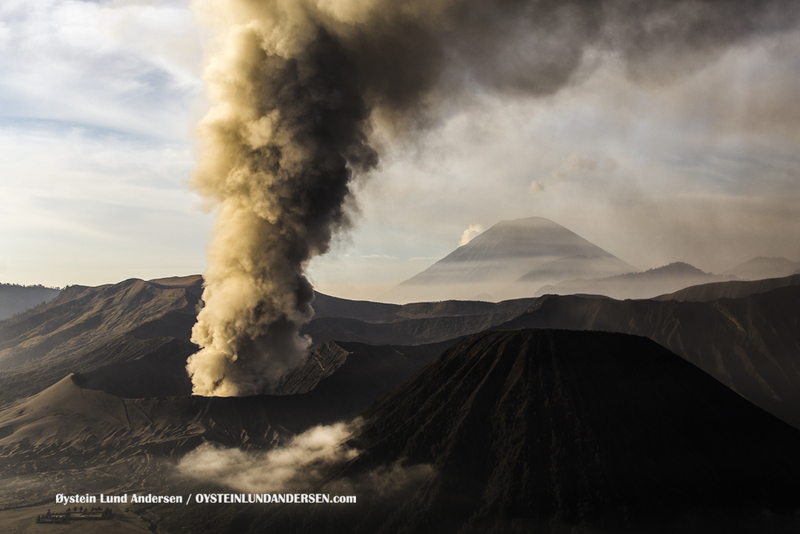 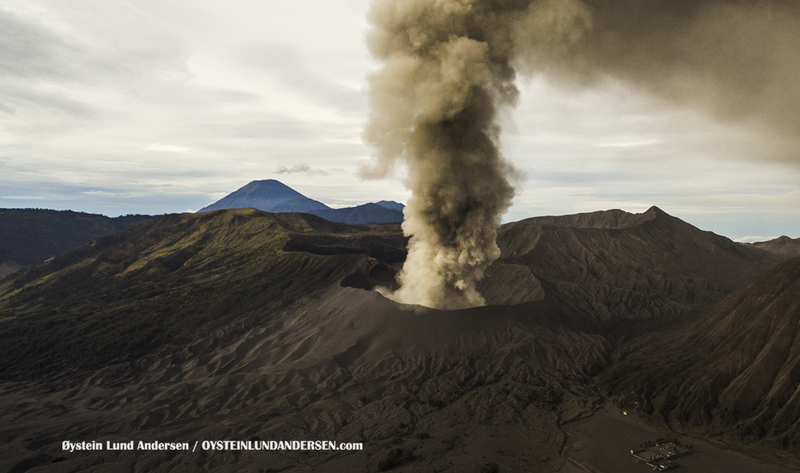 The intensity of the eruption decreased prior to sunrise, and the eruption plume was seen to only reach 2-300m above Bromo. 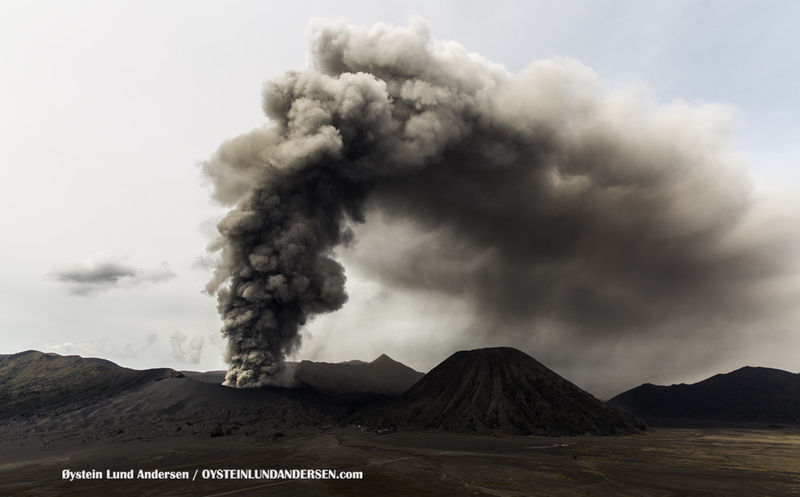 However it increased again around 09:00 in the morning. 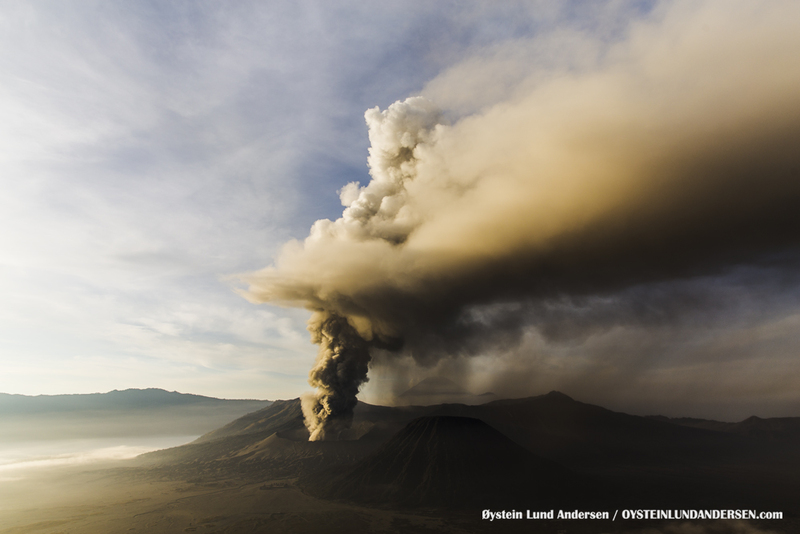 The Indonesian Volcanology Survey (PVMBG) did also today record an increase in volcanic tremor.